Wednesday: 3 p.m. - 8 p.m.
Friday: 3 p.m. - 8 p.m.
At Coin Toss Brewing Co., we serve a traditional lineup of handcrafted beer along with our Heritage Series, brewed from historical recipes. Light, crisp and refreshing. Brewed with 2-row pale malt, flaked rice & lightly hopped with Hersbrucker & Nugget. Available on draft and in 12 oz. cans. Our latest interpretation of an historical beer style. A pre-Prohibition ale fermented with lager yeast. Subtle aroma with a balanced blend of hops and malt. A golden ale brewed with sweet molasses. This historical beer closely resembles a recipe originally brewed by George Washington at Mount Vernon in the 18th century. . .Available on draft and in 22 oz. bottles. This dill-cious beer is a blend of our house lager and bread-and-butter pickle juice. Goes great with a hot dog! Available on draft and in 22 oz. bottles. A malty delight, featuring 7 grains and Chinook & Idaho 7 hops. Available on draft and in 12 oz. cans. Our flagship IPA is a traditional yet tropical beer. Named for the Pacific Lamprey which are indigenous to Oregon City's Willamette Falls and harvested each year as part of a Native American ritual. Available on draft and in 12 oz. cans. A Citra-forward IPA brewed in collaboration with our friends at The Weinhard Grill in downtown Oregon City. Hints of mango and pine plus the fresh flavor of Spruce provided by 10 lbs. of Pacific Northwest Sitka. It doesn't get more "Oregon" than this: the goat yoga craze meets delicious local craft beer. Participants will do 30 minutes of goat yoga followed by "Goat Happy Hour." Sessions start at 6 p.m. and will be held: May 4, May 18, June 1, June 15, June 29. The cost is $50 per session. Register in advance at www.goatyoga.net. The two New England natives who founded Portland — called The Clearing at the time — both vied for the bragging rights of naming the 640-acre locale after their respective hometowns. 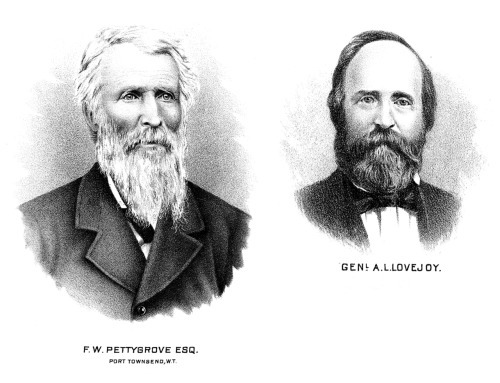 Pioneers Asa Lovejoy from Boston Massachusetts and Francis Pettygrove of Portland, Maine split the site’s land claim, and in 1845 settled the decision on a coin toss. 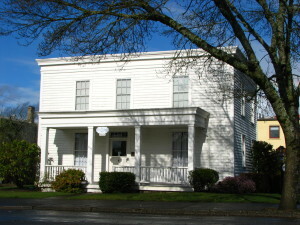 Pettygrove won the best two-out-of-three coin toss in the parlor of the Francis Ermatinger House in Oregon City and the rest is history. 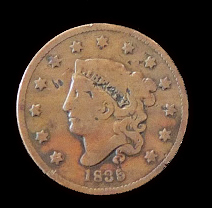 Portland was incorporated in 1849, and the copper one-cent piece, minted in 1835 and now dubbed the Portland Penny, is on display at the Oregon Historical Society Museum. the center of the Craft Beer Universe! Like so many pioneers before him, local radio personality Tim Hohl takes his homebrewing hobby to the next level. Coin Toss Brewing Co. offers a variety of signature brews available by the pint, crowler, growler or keg. We are committed to crafting the finest beers in honor of Portland’s illustrious history. The Coin Toss moniker is a nod to the fateful event that determined Portland’s name. Although Asa Lovejoy may have lost that toss to Francis Pettygrove, we would like to reach through the years and tell him: Heads or Tails? Tim Hohl has been an avid craft beer advocate and home brewer for nearly 20 years. 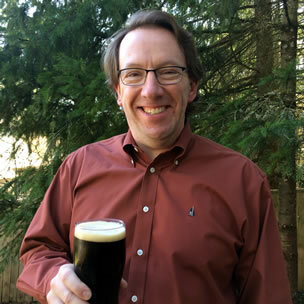 For the past 14 years, Tim has developed strong roots in Portland’s craft beer community through his role as a radio broadcaster, news reporter and host of the award-winning weekly “Beer Geek” segment on Portland’s KPAM radio station. Tim Hohl has been an avid craft beer advocate and home brewer for nearly 20 years. Fleming is a veteran Oregon brewer and founder of Fleming Brewing Consultants, LLC. 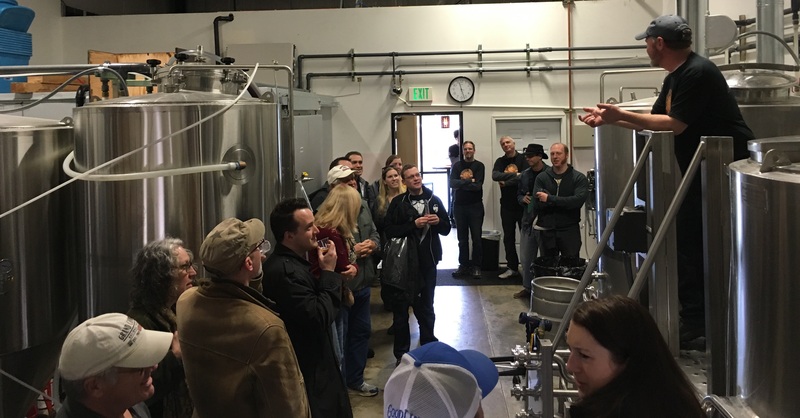 He currently serves as Brewmaster at Kells Brew Pub in Portland and general lead consultant for Mount Angel Abbey in Mount Angel, Oregon, which is the process of building the nation’s 2nd monastic brewery. He has served as head brewer at Lucky Lab in Portland, Silver Moon in Bend, and Lompoc Brewing in Portland. 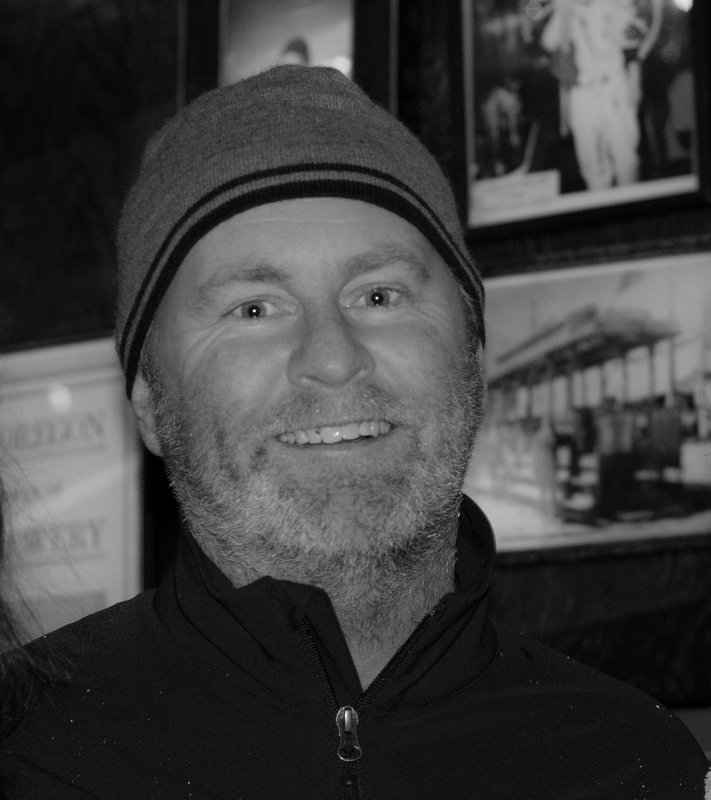 Dave has overseen construction of Three Creeks Brewing in Sisters, served as general lead consultant at Coalition Brewing in Portland and assisted with the launch of McMenamins Saint Francis in Bend, Buoy Brewing in Astoria and Sunriver Brewing in Central Oregon. Fleming is a veteran Oregon brewer and founder of Fleming Brewing Consultants, LLC. Contact Coin Toss Brewing Co. There's a NEW bottle available at @TrustyBrew! Trusty collaborated with @cointossbrewing for Brewing Bridges on a beer that pays homage to Dr. John McLoughlin who was an influential figure of the 19th century in both VanWA & Oregon City, OR. Grab a bottle of Dr. John's Old Ale!